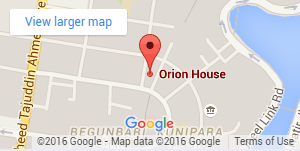 As a continuation of Corporate Social Responsibility (CSR), Orion Pharma Ltd. 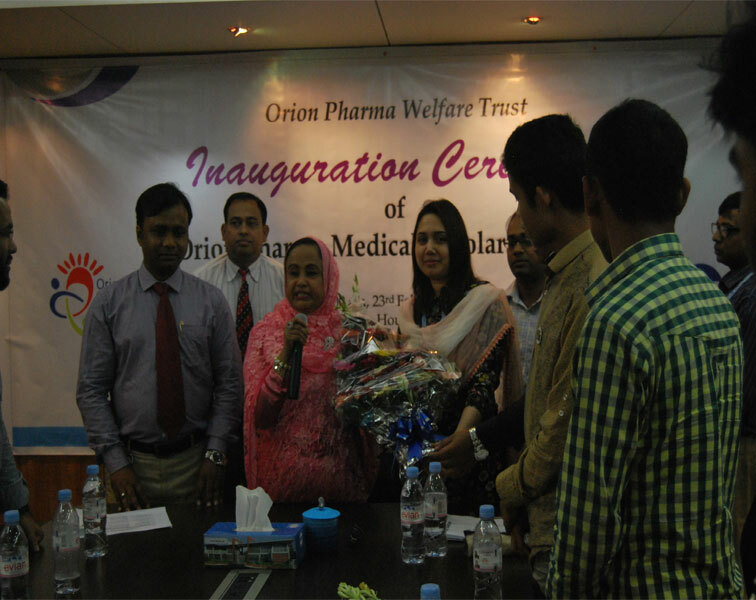 Conducted an inauguration ceremony of“Orion Medical Scholarship” at Orion House on 23 Feb 2017 presided by the Company Director and Trustee of Orion Pharma Welfare Trust Mrs. Arzuda Karim. Orion Pharma always appreciates the 'going-to-be-doctor' who already got admitted into the medical college and decided to sacrifice their life in exchange of bringing smile to the face of ailing humanity. Orion Pharma Ltd. has decided to be with those masterminds in this voyage towards a noble mission by offering scholarship to those medical students of the country who cannot afford the exorbitant cost of medical education. Medical Colleges with 5 (five) students from each academic year (1st year to 5th year). All poor and meritorious students of each year (1st year to 5th year) from different Govt. Medical Colleges are eligible to apply for this scholarship. The program ended up with proving Scholarship cheque to 05 Medical Students from different Medical Colleges. Medical students along with their parents were present on this auspicious program and showed heartfelt gratitude to Orion Pharma Management for this noble effort.